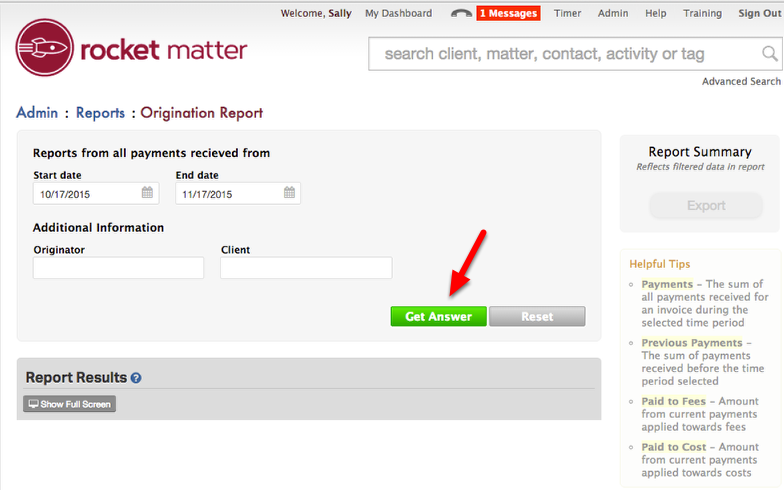 How do I use the Origination Report? 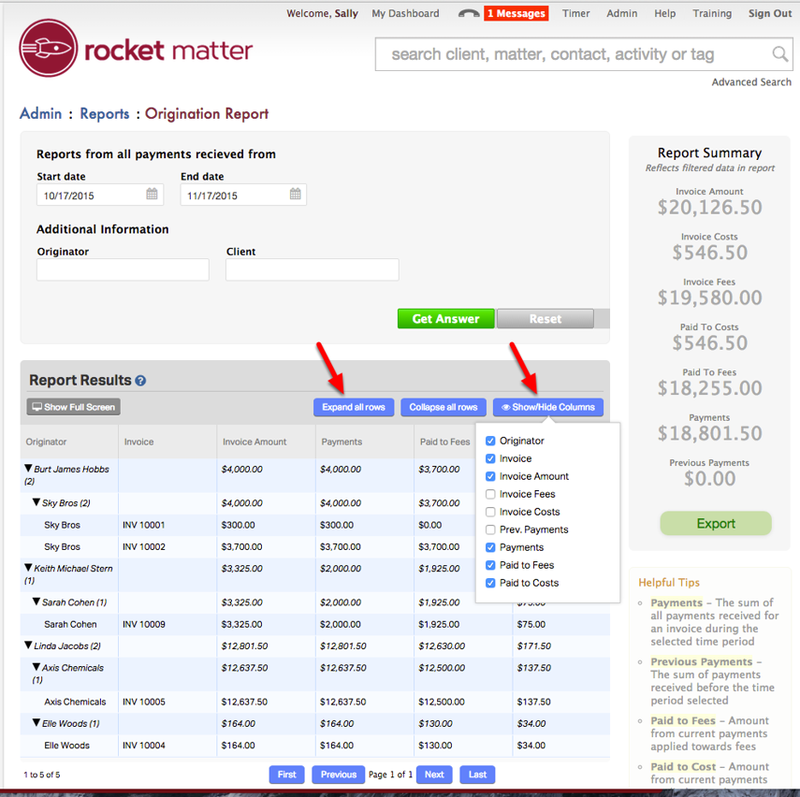 Origination Reporting is part of Rocket Matter's Advanced Analytics Module. The Origination Report will tell you who is bringing in clients for the firm, what payments have been brought in by clients, and what portion of those payments have gone towards fees and costs. To use the Origination Report, you must first specify an originator for a client. Then, the 'Originations Report' will show you the originator of client payments with a breakdown of what portion of those payments have gone towards fees and costs. Origination Report details include the Originator, Client, Invoice, Invoice Amount, Payments, Paid to Fees, and Paid to Costs. 1. Assign an originator to a client. An originator can be a Rocket Matter user or any contact in your Rocket Matter records. 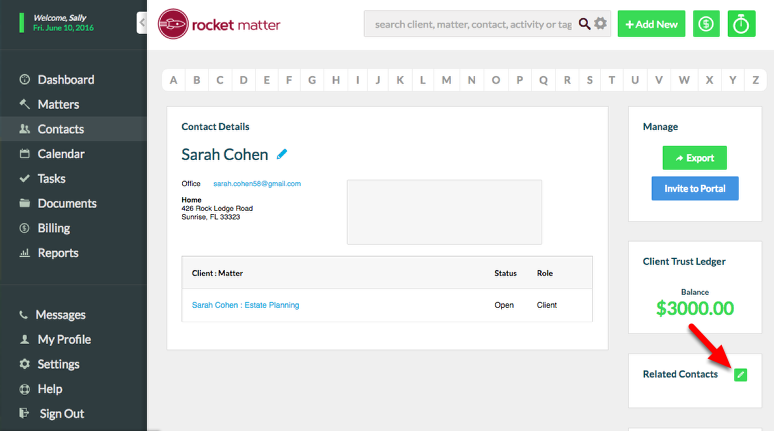 The originator field can be populated when you create a new contact, or when you edit a contact record. When matters are created for a client, the client's originator is automatically assigned to that client's matters. The originator field can be seen in the 'Related Contacts' section of a contact record, or in the 'Related Contacts' section of a matter. 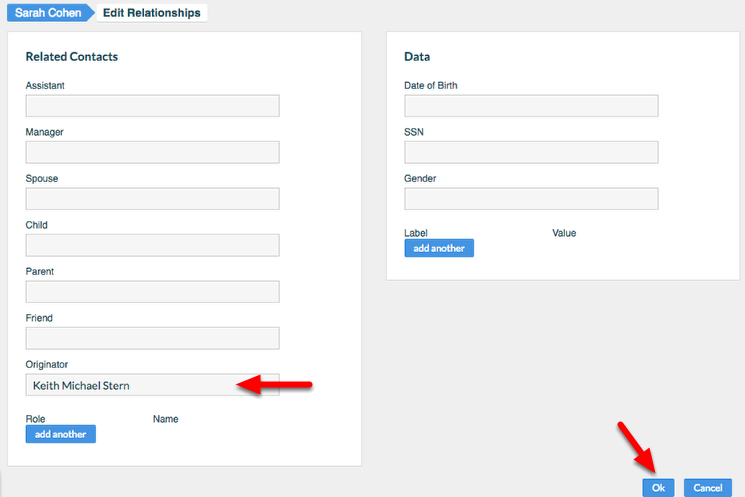 A. Navigate to the contact record, and click the Pencil Icon to Edit Relationships. 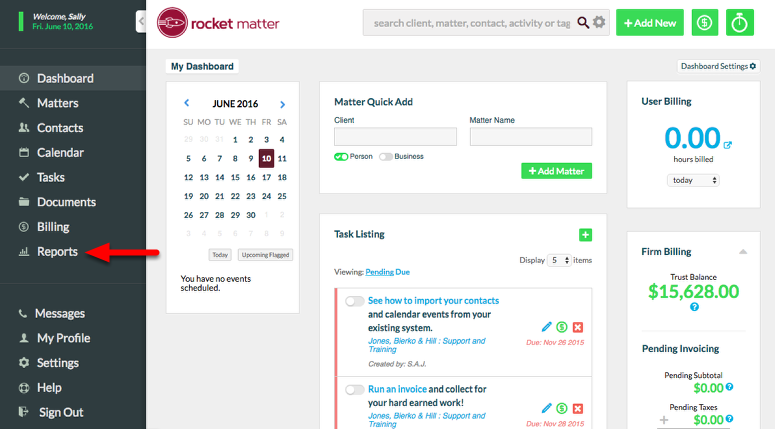 If the client doesn't already exist in your Rocket Matter contacts, you can add a contact. 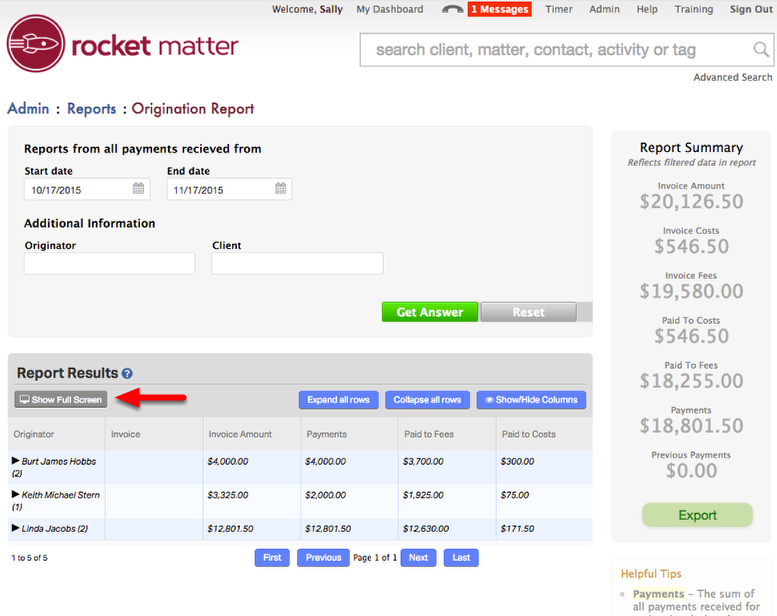 B. Scroll down to 'I want to see the originator for all clients', and select "Run Report". 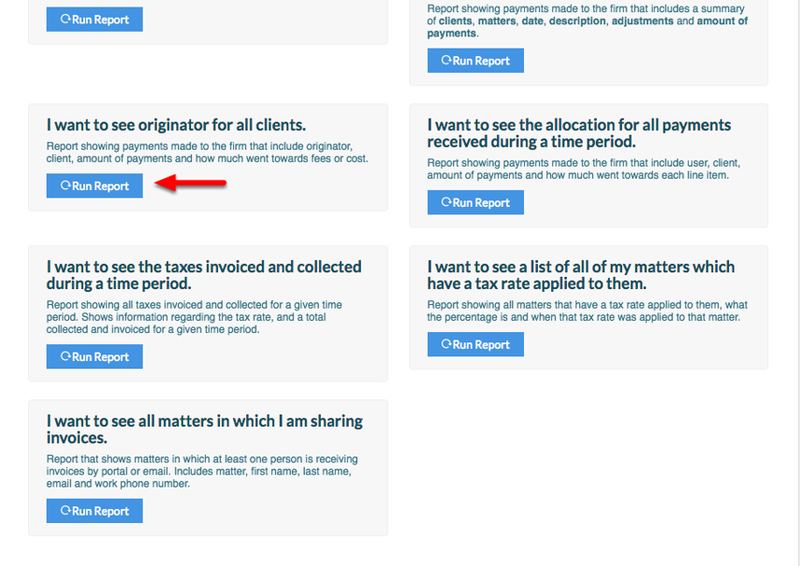 Zoom: B. Scroll down to 'I want to see the originator for all clients', and select &quot;Run Report&quot;. C. Specify time frame, Originator and/or Client. Originator and/or Client fields can be left blank to list all Originators and/or Clients. D. Click "Get Answer" to run report. E. Select filter and viewing options. Zoom: E. Select filter and viewing options. F. "Show Full Screen" will expand your report to full screen visibility. G. Select filter, viewing options, and pagination buttons to customize full screen view. 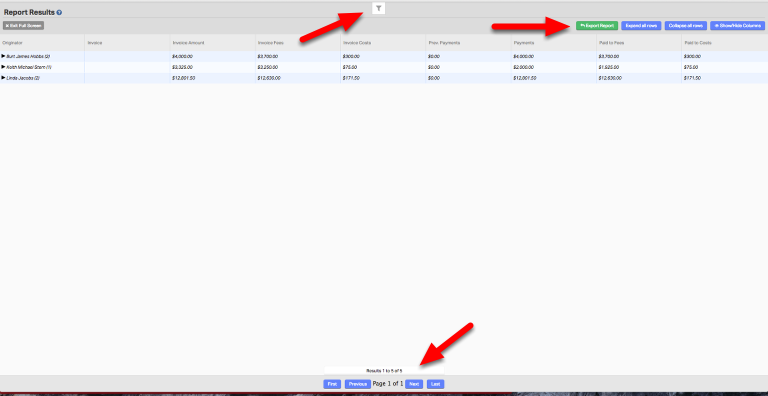 E. Report Summary gives you report totals for each column. Origination Report results can be exported in .csv format by selecting the "Export" button. 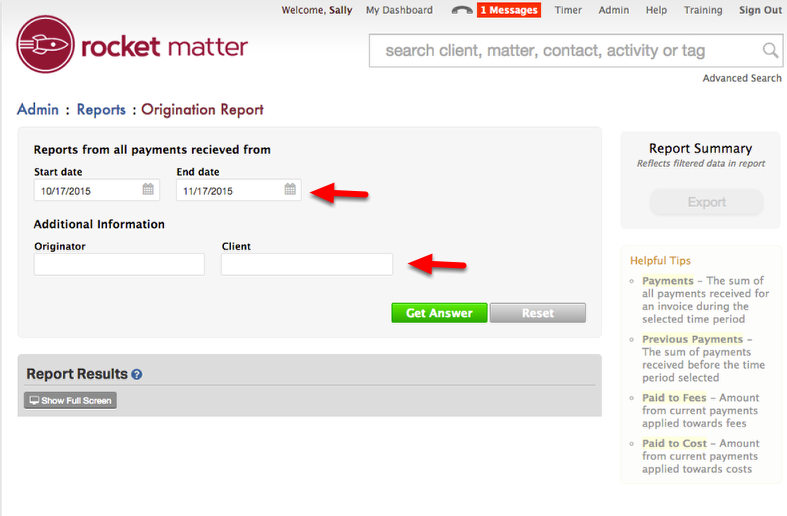 Prev: How do I use the 'Billable Activity by User(s)' report?